Creek Crossing, Lake Wedowee&apos;s exclusive community featuring prime lake properties nestled in a wooded, pristine setting on the southern portion of the lake once known as the Mitchell family farm. This property consists of 50 waterfront lots surrounded by deep, big water on one side and by lands set aside as natural habitat on the other. These lots have been hand cleared to preserve their natural beauty and towering hardwoods as well as the birds and wildlife in the area. Creek Crossing features some of Lake Wedowee&apos;s most beautiful properties with wide water views. A covenant protected community providing city water , underground utilities, community septic system, lighted paved streets, and community boat ramp, Creek Crossing offers some of the most stunning wide water views on the lake! 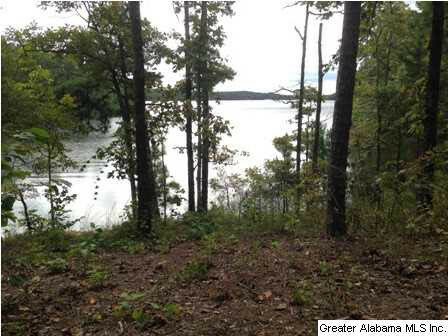 Lot 28 has 189.63 ft of water frontage and 0.43 acres.